The church of St. Peter's was constructed and consecrated in 1842. Its style of architecture is “early English”, and is Grade 2 listed. At the back, by the font, are boards showing the names and pictures of the men from the village who lost their lives in the First and Second World Wars.We have just had some work done on the roof and spire, as we want to keep this building open and in good repair (although this costs a lot of money, and so we are grateful to all who contribute). But church is much more than the building and we want to continue being part of the living history of this place. 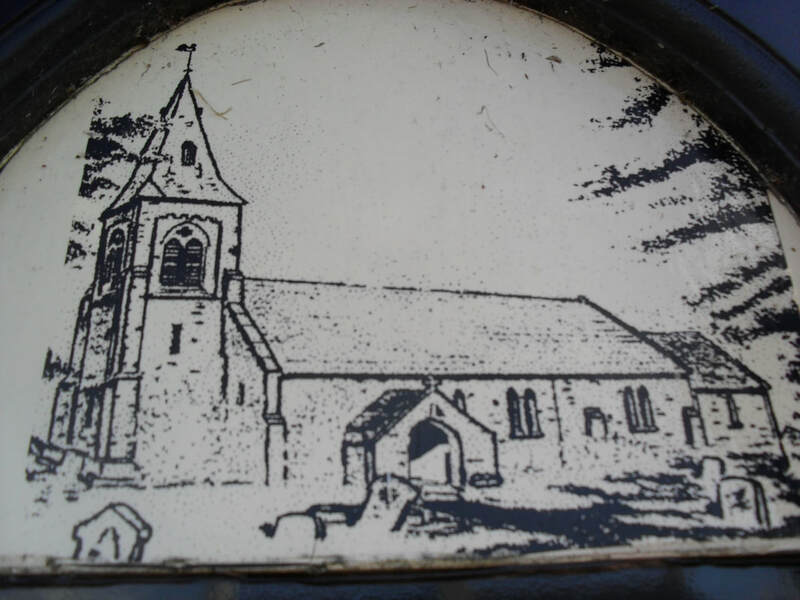 The Parish Church of St John The Evangelist in Spittal traces its Christian history from the founding of the Christian Church of St Boisil in Tweedmouth. Spittal was originally part of the parish of Tweedmouth, but as the population increased a movement was made in 1846 towards the building of a church in Spittal itself. The scheme was initially unsuccessful but in 1862, during the Ministry of the Reverend John Leach, a further appeal was made. This highlighted not only the spiritual needs of the resident population of 1,850 people but also their humble occupations as coal miners, farm workers, fishermen and lodging-house keepers. The appeal stressed that no matter how zealous the residents might be their ‘pecuniary means’ and ‘social status’ indicated quite clearly that only a very small portion of the sum needed to purchase a site and build a church upon it could be expected from them. but subject to the noxious smells from the stable beneath. The proposal was to provide accommodation for four hundred persons at an estimated cost of £1,800 to £2,000. Ultimately the actual cost, including the site, turned out to be £1,850. 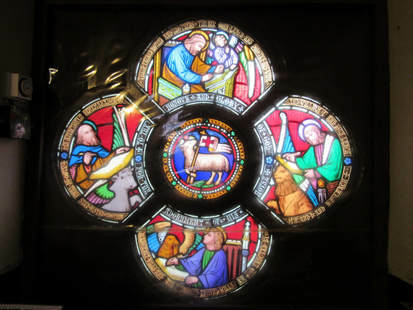 It was licensed for worship at the end of 1867 and consecrated in 1871. 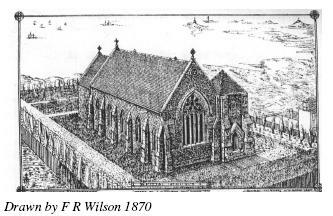 The Church was still part of the Parish of Tweedmouth and remained so until 9th August 1873 almost coinciding with the first baptisms – both recorded on September 7th. A further order in Council in 1876 provided the parish with a vicarage and it was the first vicar, Reverend Evan Rutter, who as curate of Tweedmouth in charge of St John’s, Spittal, also saw the opening of the National School in 1872. Fund-raising for a tower was begun in the 1870’s and this was eventually added in 1894. The reredos and war memorial were added in the 1920’s and in 2000 a substantial programme of internal restructuring was undertaken. This was not fully completed according to the original plan, but it created a new community room, kitchen, toilet and vestry. The Mercers Room (named after one of the church’s main patrons, the Mercers Company) room has hosted a number of meetings of community groups and provides an excellent space in which to offer refreshments following one of the many community services that are now offered, including the ever-popular Songs of Praise for the Spittal Gala and the Parish Carol Service. 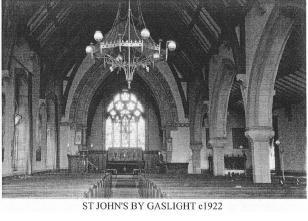 St John’s is very much a part of its community and is in regular use for weddings and baptisms, as well as for funerals.